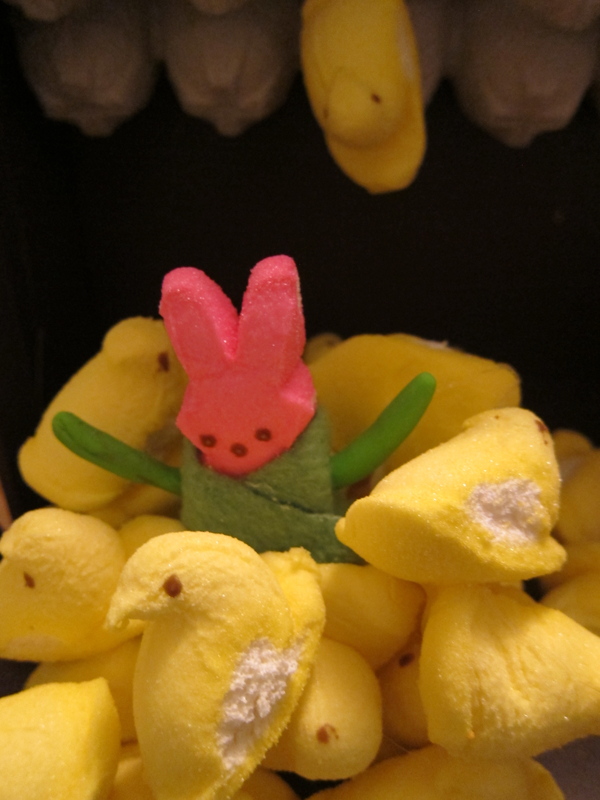 I love the Washington Post Peeps Contest and each year I swear I’m going to enter, even though I haven’t since Peepi Longstocking about four years ago. 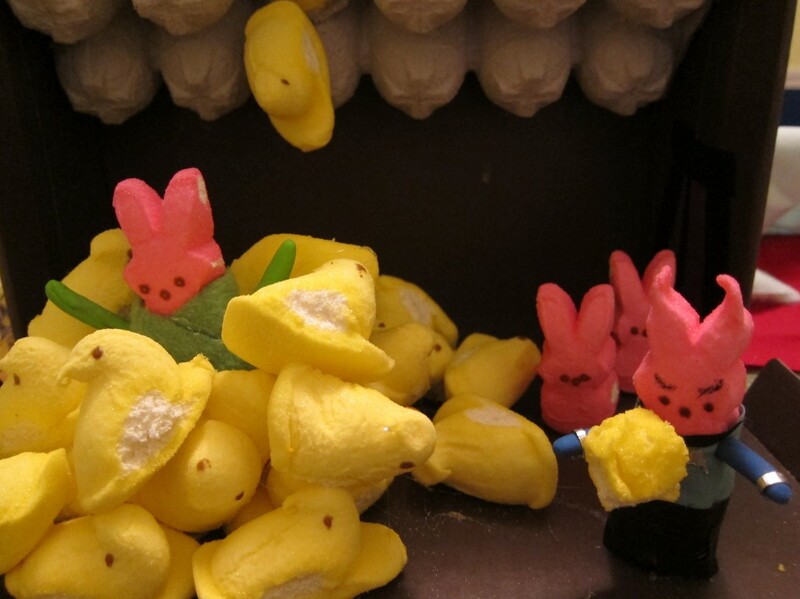 I keep my Peeps stocked in the basement, just in case, but the deadline always catches me off-guard, as it did tonight. 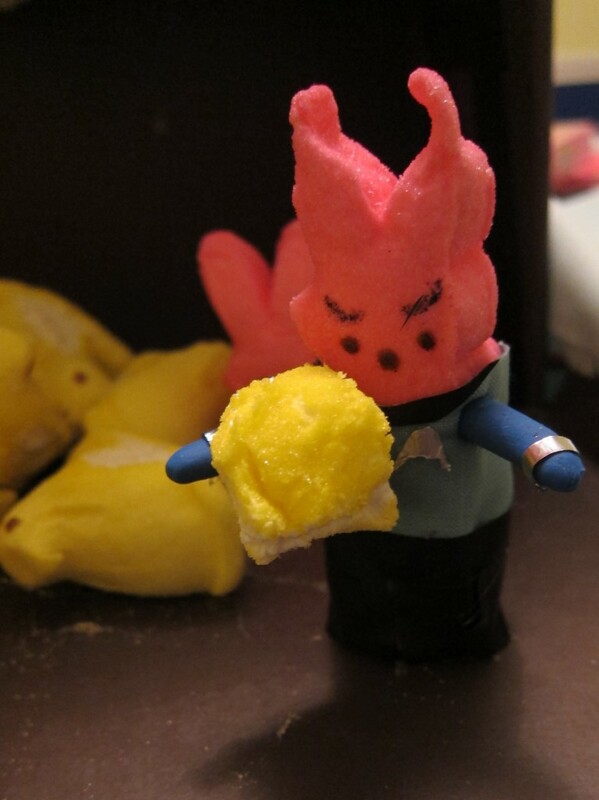 This time, though, I tried a last-minute entry as a tribute to Leonard Nimoy. It’s not as professional as the architecture firms who usually enter (or as Lois, my highly skilled neighbor), but what the heck? The title is The Trouble with Peeples. LLAP. As long as you don’t look too close… Thanks! Brilliant and timely. Love those pointy peep ears!